Today I’m pleased to announce, that we’re ready with the final 1.0 release. There are still some things to be fixed and made better, That said, this is the best release we’ve made not only in terms of features but also in terms of quality of the code and the documentation. For more details about the quality of the whole Karafka ecosystem, feel free to visit our Karafka Coditsu organization page. There are more and more companies taking advantage of Karafka as their backend async messaging backbone. Many of the new features were either feature requests or pull requests (including some from Shopify and other big players), that cover both performance and functionality issues existing in Karafka. It’s amazing looking into all the use-cases that people cover with this framework. Believe it or not, but up until now, Karafka didn’t have batch processing functionality. It had batch messages receiving option, but each of the messages had to be processed separately. At the beginning we wanted to imitate the HTTP world, where (most of the time) a single request would equal a single controller instance logic execution. It wasn’t the best idea ever. Or maybe it was at the time, but we’ve clearly noticed, that it took away a huge part of possibilities that Kafka brings to the table. Luckily those days are gone! From now on you can not only receive messages in batches (which makes Karafka several times faster), but you can also process them that way. The only thing you need to do is set the batch_processing config option to true. Once you turn this option on, you will have access to a method called #params_batch that will contain all the messages fetched from Kafka in a single batch. It’s worth pointing out, that a single messages batch always contains messages from the same topic and the same partition. Keep in mind, that params_batch is not just a simple array. The messages inside are lazy parsed upon first usage, so you shouldn’t directly flush them into DB. Note: For more details about processing messages, please visit the Processing messages section of Karafka wiki. Routing engine provides an interface to describe how messages from all the topics should be received and processed. With 0.6+ mode, you can define consumer groups subscribed to multiple topics. This will allow you to group topics based on your use-cases and other factors. It also enables overwriting most of the default settings, in case you need to create a per consumer group specific setup (for example to receive data from multiple Kafka clusters). Note: For more details about processing messages, please visit the Routing section of Karafka wiki. There are several changes related to the topic itself. The biggest one, is its assignment to a controller class, not to a controller instance. This may not seem significant, but it is. It means, that you no longer should use same controller for handling multiple topics. You can still use #topic from your controllers instance (no need to do self.class.topic) – it’s just an alias. Karafka does not parse all the messages at once due to performance reasons. There are cases in which you might be interested only in the last message in a batch. It would be useless on such occasions to parse everything there is. # without even unparsing their details. Karafka used to create a single controller instance per each received message. This was one of the reasons why it had a quite big memory fingerprint. From now on (if not disabled by the config persistent flag), Karafka will create and use a single object for each topic partition up until its shutdown. Note: example above is simplified. You probably want to cover flushing buffer also in a case of process shutdown. Karafka uses ruby-kafka driver to talk with Kafka. Now you can embrace all its encryption and authentication features. All the related configuration options are described here. One of the biggest downsides of Karafka 0.5 was its lack of ability to do a per consumer group scaling. Each server process was spinning up all the consumer groups from the routing. This was OK for smaller applications, but it was not enough for bigger systems. Karafka 1.0 server allows you to specify which consumer groups you want to run in a given process. This means you can easily scale your infrastructure together with your Kafka traffic. Karafka is no longer bound to Sidekiq. 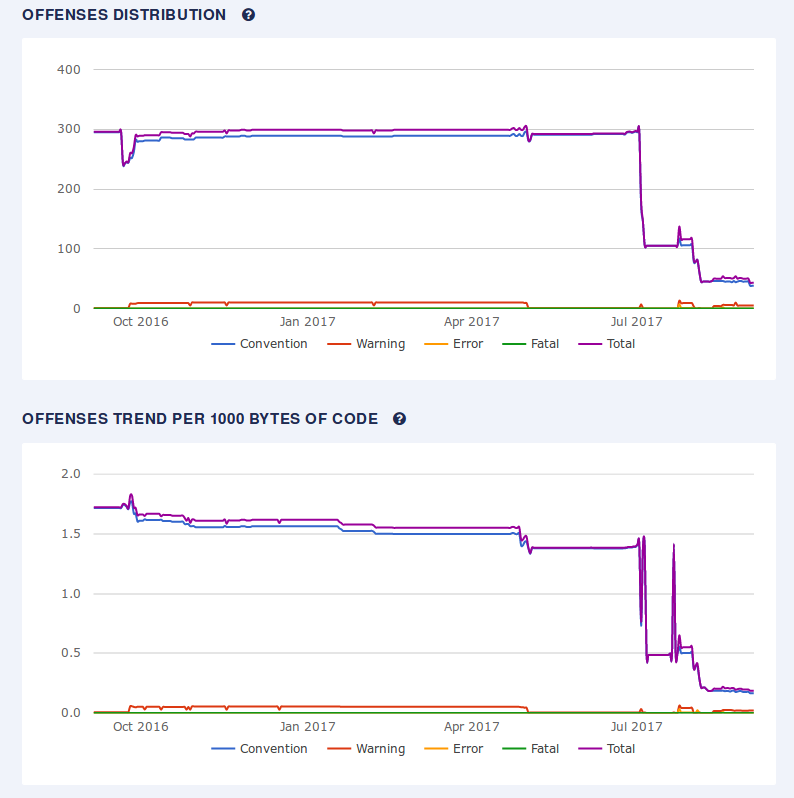 There are cases in which Sidekiq can be really helpful when processing messages (reentrancy, thread scaling, etc), however for many other it was just a redundancy (receiving from one queue and pushing back to another). The default processing mode for Karafka 1.0 is an :inline mode. It means that processing of messages will happen right after they are fetched from Kafka. If you want to process your Kafka messages automatically in Sidekiq (without having to worry about workers or anything else), please visit the Karafka-Sidekiq-Backend README. Thanks to few small changes, Karafka can be executed with JRuby 9000. Change in the way we identify topics in between Karafka and Sidekiq workers. If you upgrade, please make sure, all the jobs scheduled in Sidekiq are finished before the upgrade. Renamed before_enqueue to after_received to better resemble internal logic, since for inline backend, there is no enqueuing. Due to the level on which topic and controller are related (class level), the dynamic worker selection is no longer available. Renamed params #retrieve to params #retrieve! to better reflect how it works. We’ve managed to reduce number of new allocated objects down by around 70%. Karafka no longer creates so many objects for each received message and message batch as it used to. It also depends on less gems and requires much less additional libraries, so the overall memory consumption is significantly lower. We’ve reorganized the whole concept of passing settings in betwen Karafka and ruby-kafka to be able to faster adapt if anything changes. The internal API is also much cleaner and easier to understand. All internal validations are now powered by dry-validation schemas. In order to support different Ruby implementations, we’ve decided to use multi_json gem, so anyone can pick the most suitable JSON parser he needs.